Among the 168 pages of this anniversary edition are four riddles from Ish Klein, a conversation between Michael Martone and Matthew Baker, and a series of "photodrawings" from Irish artist Garrett Phelan. For the first time in the journal's history – perhaps for the first time in literary journal history – no two copies of the offset-printed, full-color Versal 10 are alike. "750 Circles" is a handmade project by Versal's editorial team to honor the many people around the world who have made the journal possible. Animation, Footage, & Editing by Amy Purifoy, Soundtrack by Alfred Brown, Additional Editing & Mastering by Evan Schapp. 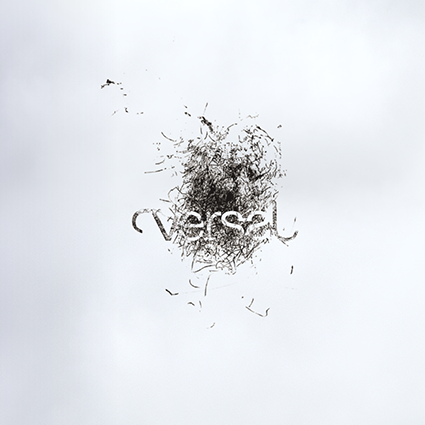 In the first edition of Versal, published in 2002, founder and editor Megan M. Garr wrote, "This could be the first and last Versal you ever read." But on May 23, 2012, the dazzling tenth Versal was revealed. This edition is a gold-plated wonder, with "Versal Ten" embossed on the front in the familiar Versal typeface.